From humble beginnings in Nobel, Ontario, to the big city of Toronto, and on to the Big Ten at U of M followed by the Fort Wayne Komets, Roger Calixte Galipeau made an impact on people both in the world of hockey and in life with his character and charisma. With his tall stature, he stood apart from others both on and off the ice as a dynamic defenceman, a gentle giant, an educator with enthusiasm, a lawyer and leader beyond compare whose actions often spoke louder than words. 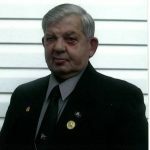 Born on December 2, 1940 in Sturgeon Falls, he was the only son and second child of Alex and Nora Galipeau. His priorities in life were God, family, work and hockey. Roger received his first pair of skates at the age of eleven. On the outdoor ice rink, at the end of Hammel Ave. across from the Nobel Elementary School, Roger practiced his skating, puck handling and shooting for endless hours during the winter months. At the age of fourteen, he joined an all-age pick-up hockey team in Nobel that was coached by Mr. Hunt and “Bun” Rescoe. He excelled on the Nobel Hockey Team in 1954-1956. At the age of 16, Roger was picked up by the Parry Sound Shamrocks of the OHA Junior “B” league. With Roger’s determination, drive and 6’3” frame, he had invitations to join the Toronto Maple Leafs and the Detroit Red Wings Club Teams. Roger signed on with the St. Michael’s College Junior “B” Buzzers in 1958. 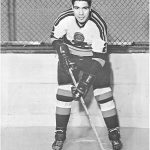 Roger experienced great success with the Buzzers for two seasons and as a defenceman who was hard to beat, he then moved up to the St. Mike’s Majors, Junior “A”. Roger’s assignment on one particular night was to shadow and frustrate the Royals’ most dangerous attacker and leading goal scorer in junior hockey, Rod Gilbert. Roger was successful in shutting down Gilbert up until late in the game when the Royals smuggled Gilbert onto the ice before Roger could hop over the boards. Having his game so rattled by his “Giant Shadow”, Gilbert’s only decent shot for the night missed the net and he remained scoreless. Roger’s Junior “A” season with St. Mike’s Majors culminated in Provincial and Eastern Canada championships and a 1961 Memorial Cup victory in Edmonton. In 1961, Roger Galipeau was recruited to play hockey with the University of Michigan Wolverines in Ann Arbor. While at Michigan, Roger was selected and initiated into the Druids Honor Society on the basis of his outstanding athletic ability. While balancing hockey, a social life and college academics, Roger majored in History and minored in French and Physical Education and he graduated with his B.A. in 1965. He enjoyed a fruitful hockey experience with the Wolverines that culminated with a 1964 NCAA Championship that was played in Colorado Springs. Roger went to mass and attended social activities at the University of Michigan Newman Center where he met Debbie Farr. The two of them courted during their senior year and were married in November 1965. In September 1965, Roger was invited to tryout with the Seattle Totems of the Western Hockey League. He also had a tryout with the Fort Wayne Komets of the International Hockey League and he ended up playing one season with the Komets. With his darker skin and his Canadian Indian ancestry, he was known as “Big Chief.” The name “Chief” could have been taken in a derogatory sense, but Roger would channel negativity to boost his game and he would think to himself, “I’ll show them who’s Chief.” This special character trait allowed Roger to not over react when faced with adversity; rather, he would turn the negative into a positive and possibly throw in a little humour. Over the weekend of November 27, 1965, Roger had to miss two Komets’ games to attend his wedding. He married his beautiful, true love, Debbie Farr in Avon Lake, OH. After one season with the Fort Wayne Komets, Roger decided he wanted to start his teaching career so he opted to return to Ontario and taught at Leaside High School in Toronto in 1966. With a special gift as an educator, he made a positive impact on students . Not only did he coach and teach but he continued to play hockey in 1966-67 with the “Varsity Grads”, a Toronto Senior “A” team. In 1967, Roger and Debbie’s first daughter Denise was born. 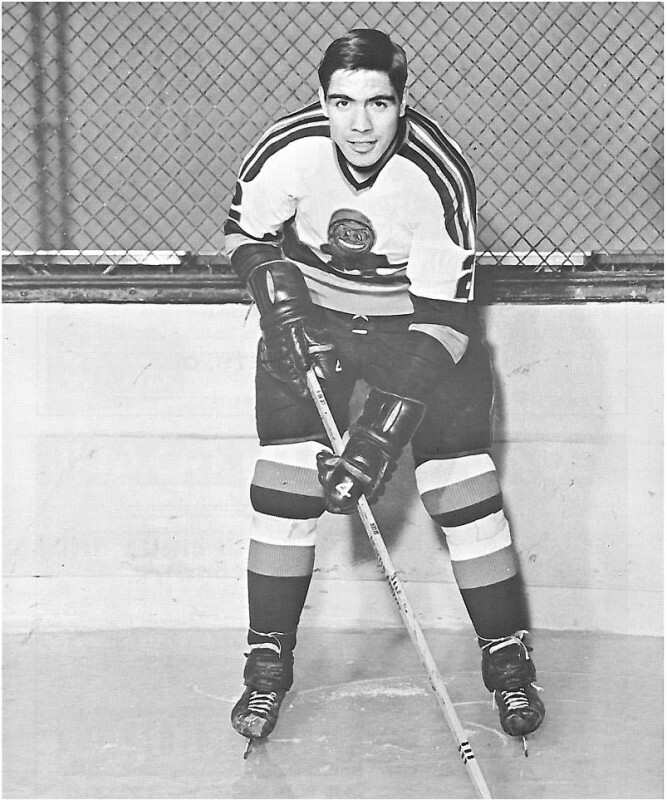 In 1968, Roger applied and was accepted into Osgoode Law School at York University where, after one year in retirement from hockey, he returned to the ice as a player with the York Yeomen. In 1969, as Roger balanced not only a family but law school and hockey with stamina and self-discipline, he was one of 52 recipients of a Hockey Canada Scholarship based on hockey ability and scholastic standing. 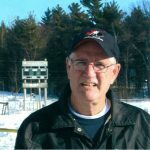 Under the coaching of Bill Purcell, Roger was proud, once again, to be a part of another winning team as the York Yeomen were the 1969 OIAA Provincial Champions and third place finishers at the All Canada College Championships in Charlottetown that year. In 1970, Roger and Debbie had their second daughter, Michelle and in 1973 Roger completed his Law Degree and was called to the Bar. He accepted a position with a North Bay law firm and moved the family north. After a couple years with the law firm, he opened his own office in 1975. He grew to be an active and respectable member of the community. He was on the Board of Directors of the L’Arche Communities that were homes for the mentally handicapped and he was on the parish council at the Pro-Cathedral of the Assumption. Roger also taught a night school law course and a marriage preparation course. 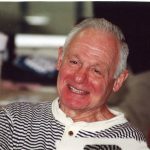 Over the years in North Bay, Roger enjoyed playing hockey with the 30-and-over Old Timers, the Law Associates and the Thompson Park Shell team. In the spring of 1995, Roger drove down to Fort Wayne, Indiana to attend a Komets 30-year hockey reunion. When he stopped at a local carwash in Fort Wayne, someone approached him and asked, “Hey, aren’t you Roger Galipeau?” Roger was quite amazed and honoured that someone remembered him from his time playing hockey in Fort Wayne. Roger kept his faith strong throughout his life and especially during his battle with cancer in 1997. Roger was a person with integrity and dignity who often shared a subtle sense of humour. Roger C. Galipeau is fondly remembered as an excellent hockey player, educator, lawyer, community contributor and family man. As a genuine human being, he was appreciated and his physical presence is greatly missed but his legacy will live on. Watching down from above, Roger is once again honoured to receive this special recognition as a hockey player who was a standout on defence and as a special person who made a difference in the lives of many. He is worthy to be inducted into the Bobby Orr Hall of Fame and we are all very proud of his accomplishments. His spirit will live on.